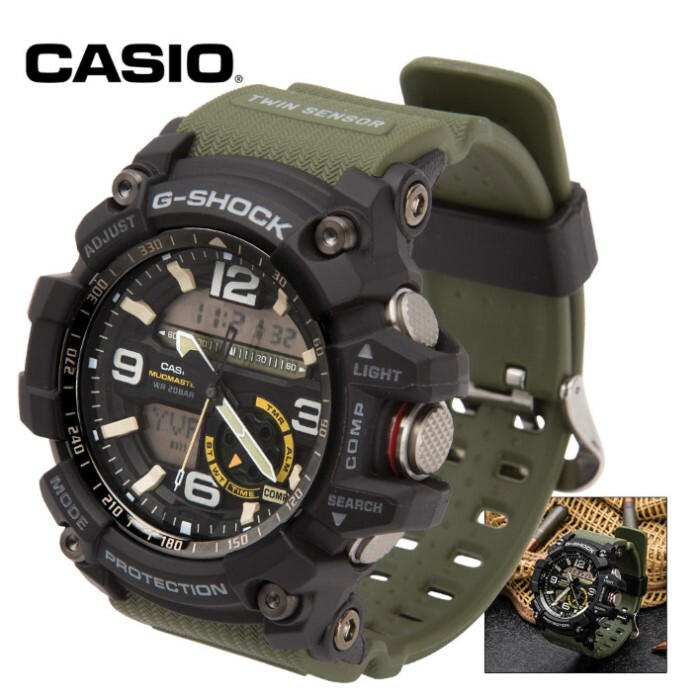 Casio G-Shock Master of G Mudmaster Multifunction Tactical Watch | BUDK.com - Knives & Swords At The Lowest Prices! 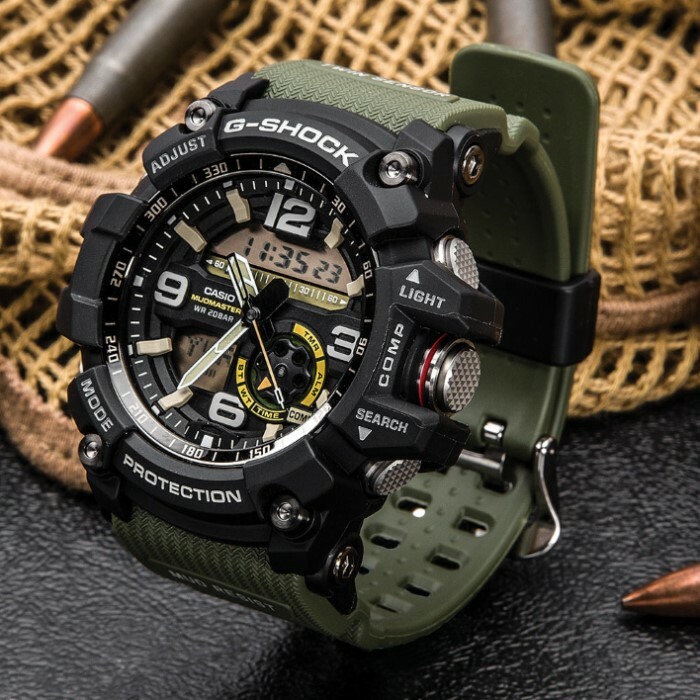 The Master of G Mudmaster Multifunction Tactical Watch from Casio G-Shock is made for dirty boys (and girls) who like to work and play in the mud and muck. 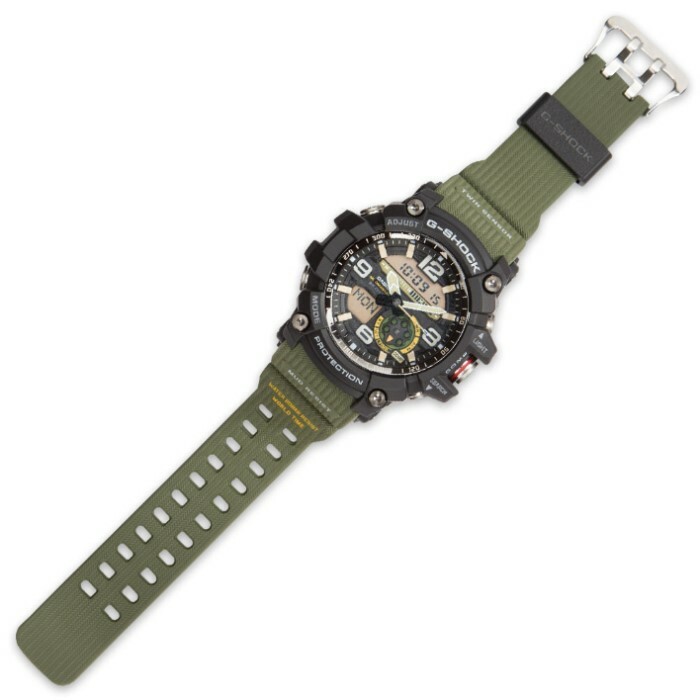 Its advanced "mud resistant" construction ensures nothing - sludge, grease, slime, grime and other filth - makes its way into the watch no matter where you roam or the conditions. The shafts and pipes that guide buttons are shielded by multiple gaskets that keep foreign debris out, while enhancing button operation and protecting controls and other electronics from impact. And like all G-Shock watches, the Master of G Mudmaster is loaded with handy features - 200 m water resistance, digital compass, thermometer, LED backlight, world time, multiple alarms, stopwatch, calendar and much, much more. If you're an extreme outdoorsman or if you work with your hands in oft-soiled conditions - mechanics, carpenters, anglers, butchers and more - the Master of G Mudmaster is the only watch you should ever trust.